Those of you dwelling or lurking in or around the Forbidden Woods are likely already acquainted with the recent unpleasantness. It seems people here are capable of discussing little else. The taverns are swollen with common dolts, huddled around their steins of fetid drink, eager to add their embellishments to a now familiar tale. For many of you whose huts, caves, bridges and towers lie in more distant regions, however, allow me to relay news that you may receive with astonishment. May it serve as a cautionary tale to those of you prone to inviting strangers into your home, regardless of your degree of malicious intent. One of our most venerable delegates, the esteemed Ingrid Solstice Slugtruffel (a former Secretary of the Executive Council, I’d be remiss to ignore), met an untimely demise last week at the hands of two childish delinquents. Under what circumstances, you might wonder, is the death of a withered, 137-year-old she-beast untimely? Without hesitation, I answer you that when the loss of an elder is wrought by treachery and perpetrated through the foul exuberance of youth, it is an outrage most unnatural and undeserved. The criminals of whom I speak were guests of Ms. Slugtruffel. Oh, the betrayal she must have felt in her final moments. What an unkind response to her cordiality! Think to yourself, how many children have been seduced by the gumdrop-encrusted sidewalk leading to your own gingerbread house? How often did you take the proper precautions? Did you reinforce your cage or dungeon? Did you adequately maim or cripple your prey? Did you keep a backup mallet or cleaver close at hand? Did you diagram an escape route in case your plans went awry? I thought not. And, unfortunately, neither did dear Ingrid. Instead of feasting for days on her best catch in years, she was unceremoniously incinerated, courtesy of her main course. Despicable! And, yet, preventable. It is incumbent upon each of you to determine the individual protections that will serve you best, but I assure you that our days of innocently plucking unsuspecting simpletons from the woods are fast depleting. Word is spreading about our tendencies and techniques, about our practices and our predispositions. Thanks to these little blond miscreants, our way of life has become exponentially difficult overnight. Our licorice shingles won’t look nearly as sweet. Our candy cane lampposts and sugar-paned windows won’t be nearly as attractive to young passersby the further this story is circulated. We must remain unified in these difficult times. This unfortunate event is not an impetus to abandon our heritage but rather an opportunity for evolution. We have become complacent. We wrongly assume a cunning greater than that of school children, but clearly today’s youth seek to match our depravity and guile. We, however, can overcome their vitality if we pledge ourselves to lifelong learning. This office believes wholeheartedly in continuing education, and I challenge each of you to identify an area of improvement on which to focus in the coming weeks. Perhaps you’d like to sharpen your hexing skills. Others may want to consider a course in negotiation and manipulation. There are a host of new poisons and potions available in the market today, if you’ll take the time to investigate and experiment. Some tae kwon do lessons might not hurt, either. Just keep your wits about you. A new age is upon us, and we can either meet it head on, lock horns and prevail, or we can surrender to exile and/or extinction. I, for one, have no plans to retreat or retire. In fact, at this moment from my dining room window, I see a hobo outside admiring my merlot tree. Upon completion of this letter, I intend to investigate his well-being. I’m sure he’s tired from his journey and would appreciate a little hospitality. If you have any questions, please get in touch with your district representative. I’ve supplied each of them with a crisis management kit, which will be made available to you upon request. Your local peer support groups will also serve as a useful resource. I suggest you become acquainted with their weekly meeting schedule. I realize that many of us are reclusive by nature, but now is the time to reach out. We all have much to learn from one another. Remember, the I.A.W.W.H. is at your service. You are a member of the oldest, most prestigious congregation of its kind, and we have endured worse. Hold your heads high. Strive for excellence in your work and in your lives. And for the love of all that is evil, don’t lean into your own oven. It’s just good sense. 1. He was the first person to use the term ‘short story’. At least, Poe’s use of the term is the earliest that has yet been uncovered, from 1840 – nearly 40 years earlier than the current OED citation from 1877. This is fitting, given that Poe was a pioneer of the short story form. (We’ve offered our pick of Poe’s best stories here.) 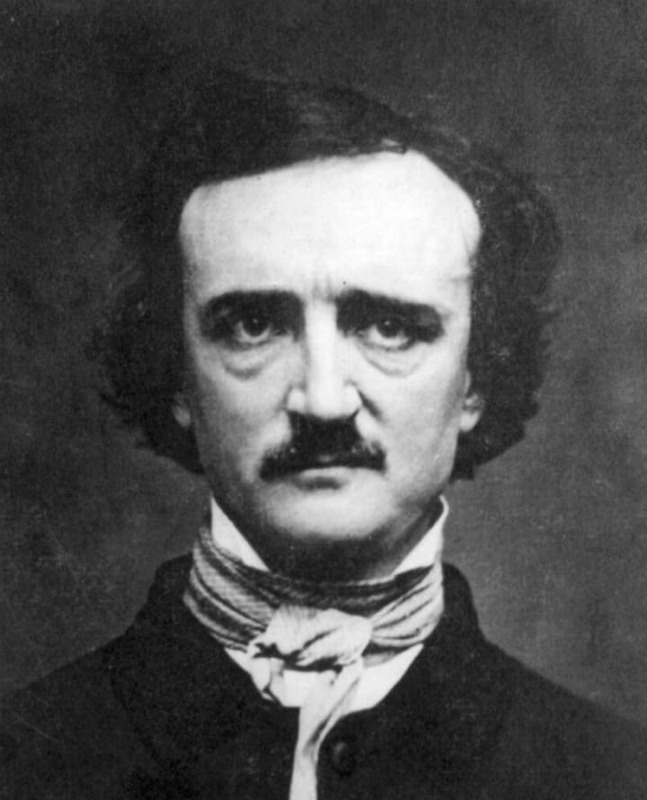 Poe wrote ‘I have written five-and-twenty short stories whose general character may be so briefly defined’ in his preface to Tales of the Grotesque and Arabesque. This fact was discovered by Martin Greenup – see his ‘Poe and the First Use of the Term “Short Story”‘, Notes and Queries, 60.2 (2013), 251-254. Eli snapped the frozen stalactite from its moorings on the gutter overhead and raised it in a fencer’s salute, eyes fixed on Sasha. “Olé!” he offered before attacking the space in front of her with a flourish, like a maniacal poet inking stanzas in the cold, empty air. Sasha’s shrug was hardly visible through the winter parka and layers of knit sweaters keeping her warm, but she added a deliberate eye roll for good measure. “Don’t you mean ‘en garde?’” she snarked. “Touché,” Eli replied with raised eyebrow. He held the tip of the icicle against the dull light of the ebbing sun, as if examining his blade for imperfections, then abruptly bit off the tip and chomped it noisily. “Four. But with the weather, they’ll probably be late.” He quieted then, drumming the shortened ice spear against his leg. “You know, my iPod better not be in one of those boxes. You said you were gonna bring it over yesterday, but I never saw you.” She heaved the snowball at his chest then, and it exploded in a nebula of powder and ice. The glimmering dust settled on Eli’s dark hair and lashes, salt and pepper lending comic contrast to his young face. “You need that to remember me?” Sasha said, feigning injury, surprised to find she actually felt a bit injured. “No, I’d just rather have your iPod than your ferret or your Vampire Weekend T-shirt.” He glanced around, as if looking for a place to sit, but the narrow strip of yard between their two houses was smothered in undulating, wet snow. He was glad he was still holding the icicle. It gave him something to do with his hands. “What’s winter going to be like there?” she asked after a long silence. He tossed the icicle toward her, and she clapped her mittens together, clumsily catching the tapered end while the wider base broke under its own weight and disappeared into the drift near her feet. She waited for him to lob an insult, the perfect opportunity to mock her and run, but Eli had already vanished around the corner of his garage, his boots now clomping on the bare concrete. Rain instead of snow. She’d hate that, she thought. The cleanliness of the white soothed her, hid the desolation left in the wake of autumn. Snow spread like a glaze of perfection over the dead, blemished landscape. Its only drawback was its transience. An icicle’s existence was even more fleeting – born only in the right conditions – a modest thaw, a precarious edge, a sustaining freeze. She plunged her hand into the snowbank, suddenly anxious to locate the rest of the sunken icicle. It should have been easy; the impression in the snow created by its falling was obvious. All she had to do was grab it. But as she tried to dig, the snow just compressed, becoming like ice itself, camouflaging the object to sight and touch. The faster and more frantically she searched, the more impossible the task seemed, as if she were trying to differentiate one gallon of water in the ocean from another. Her perspiration chilled her as it mingled with the falling temperature. Sweat and melted snow soaked her mittens until she ripped them off and cast them to the ground. With her bare hands, she reached into the hole she had burrowed to find its walls as smooth and hard as glass. She scratched at them with her fingernails but only came away with thin curls of ice that bit at her numbing skin with frosty malice. Kneeling now, Sasha looked to the gutter overhanging the side of her home. At least thirty icicles clung to the roofline, virtually identical, none more distinct than the next, but the one she wanted was trapped out of reach. For the moment, it was preserved in its frozen vault. By tomorrow, it would be a casualty of the thaw.